A man carrying provisions walks through an area devastated by Typhoon Haiyan on November 12, 2013 in Leyte, Philippines. 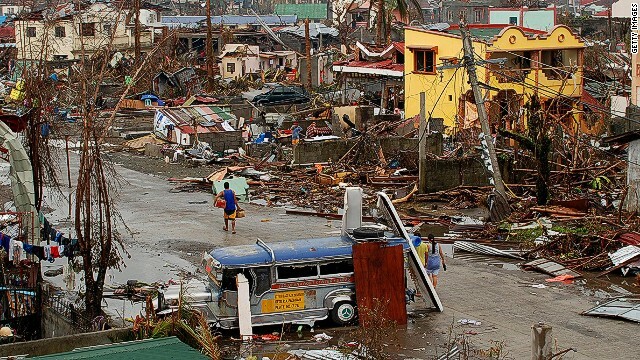 The Marine Corps general in charge of U.S. military aid efforts for victims of Typhoon Haiyan is asking the Pentagon to urgently send a number of amphibious warships to the Philippines. Brig. Gen. Paul Kennedy tells CNN he needs the Marine Corps amphibious ships specifically because they can carry a variety of small boats, trucks, equipment and supplies needed, as well as making potable water. "They are the Swiss army knife of the U.S. military," Kennedy told CNN in a telephone interview from the Philippines. Kennedy says he believes his request will be approved by the Pentagon in the coming hours. As many as four of the warships could be headed to the Philippines. The amphibious ships can also carry helicopters and tracked vehicles known as "assault amphibious vehicles." These vehicles can carry supplies and move over and through piles of debris to distribution points where aid is needed most. The U.S. military will take supplies to distribution points, but it will be then handed out by Philippines forces, Kennedy said. Local forces are in the best position to know community leaders and make sure those in the most need are getting the help, he added. 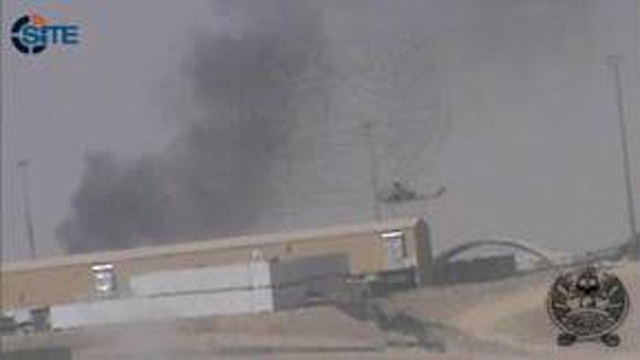 Image from video posted online by a group associated with the Afghanistan Tailban purporting to show the September 2012 attack on Camp Bastion. The top U.S. commanders of a coalition base in southern Afghanistan "failed to take adequate force protection" measures prior to a September 2012 attack by the Taliban that led to the deaths of two Marines and the destruction of military aircraft, according to a report on the incident. Marine Commandant Gen. James Amos fired the two senior commanders of the base at the time, Maj. Gen. Charles Gurganus and Maj. Gen. Gregg Sturdevant, essentially forcing them into retirement. The investigation was directed by Army Gen. Lloyd J. Austin III, who leads Central Command, to determine any potential accountability for the attack. Army Lt. Gen. William B. Garrett III was the investigating officer for the report released Wednesday and his deputy was Marine Maj. Gen. Thomas M. Murray. In an action unprecedented during 12 years of war in Afghanistan, the commandant of the Marine Corps is firing two top generals for failing to protect troops and their base in southern Afghanistan from a Taliban attack. Marine Commandant Gen. James Amos, has agreed to a finding that Maj. Gen. Charles M. Gurganus and Maj. Gen. Gregg A. Sturdevant "did not take adequate force protection measures" at Camp Bastion last year, the service said on Monday. On September 14-15, 2012, Taliban fighters got through an unguarded part of a fence and engaged in a long running gun battle with U.S. and coalition forces. 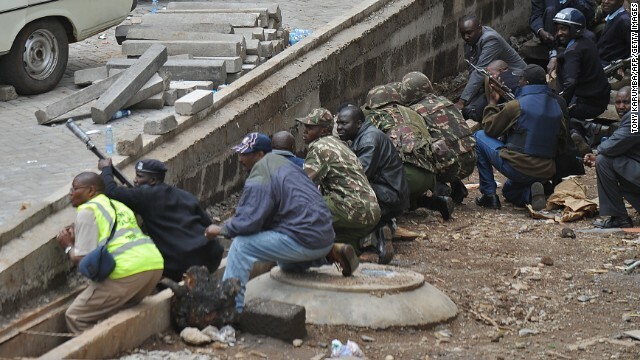 Kenyan security personnel, crouched behind a ledge, watch on September 23, 2013 a column of smoke rise from the beseiged Westgate shopping mall in Nairobi following a loud explosion. Kenyan security forces were locked in a fierce, final battle with Somali Islamist gunmen inside the upmarket mall on September 23 as huge explosions and a barrage of heavy gunfire echoed out of the complex. More U.S. Marines are fortifying security at the American Embassy in Nairobi following the deadly shopping mall attack there, CNN has learned. Two U.S. officials confirmed the move in Kenya, but declined to be identified because they are not authorized to speak publicly about the matter. The newly arrived Marines are part of a unit specially trained in enhanced security, including providing personal protection to senior American officials. That kind of assistance was recently added to tasks performed by the embassy guard program after the deadly terror attack on the U.S. diplomatic compound in Benghazi, Libya, last year. 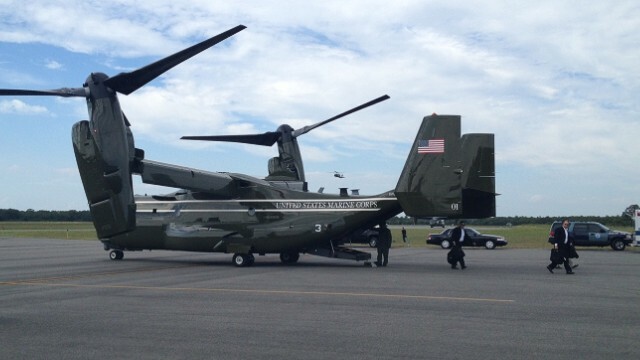 (CNN) – Marine Corps MV-22 Ospreys, aircraft that take off vertically, provided a dramatic new look for President Barack Obama’s travel detail as he and the first lady began a Martha’s Vineyard vacation on Saturday. The Ospreys – making their presidential debut - shuttled White House staff, media and Secret Service members from Coast Guard Air Station Cape Cod. The sleek tilt-rotor aircraft can take off like a helicopter but fly like an airplane. An image captured on You Tube shows what appear to be U.S. Marines urinating on bodies of dead Taliban. A senior Marine general said in an extraordinary sworn statement obtained by CNN that the head of the corps wanted several Marines kicked out of the service for their alleged roles in urinating on Taliban corpses - even before any charges were brought. Lt. General Thomas Waldhauser told military authorities in the sworn statement on Tuesday that he had a private meeting in February 2012 with Marine Commandant Gen. James Amos, who had just named him to lead the investigation and possible prosecution. "I do not remember the exact words or sequence of what was said, but the CMC did make a comment to the effect that the Marines involved needed to be 'crushed,'" Waldhauser said, adding that the "CMC went on to say he wanted these Marines to be discharged from the Marine Corps when this was all over." Waldhauser's statement was made as part of the record for upcoming court martial proceedings against two Marines involved in the case. 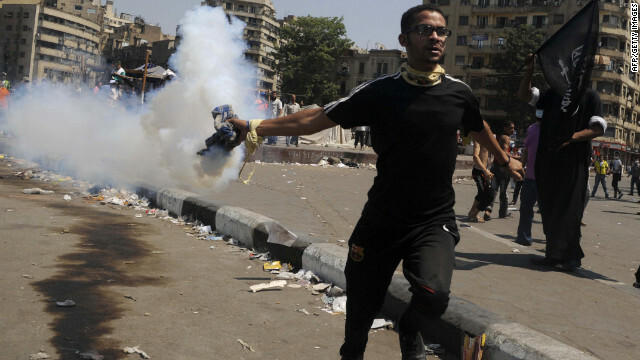 U.S. Marines stationed in southern Europe have been put on alert as a precaution in advance of expected large demonstrations and potential unrest in Egypt this weekend, CNN has learned.